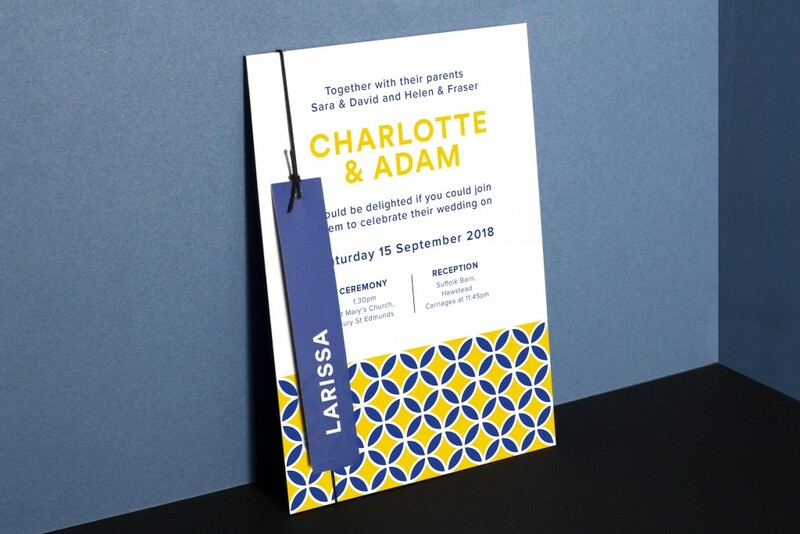 Charlotte and Adam came to us with lots of different images of patterns, colours and typography that they liked. 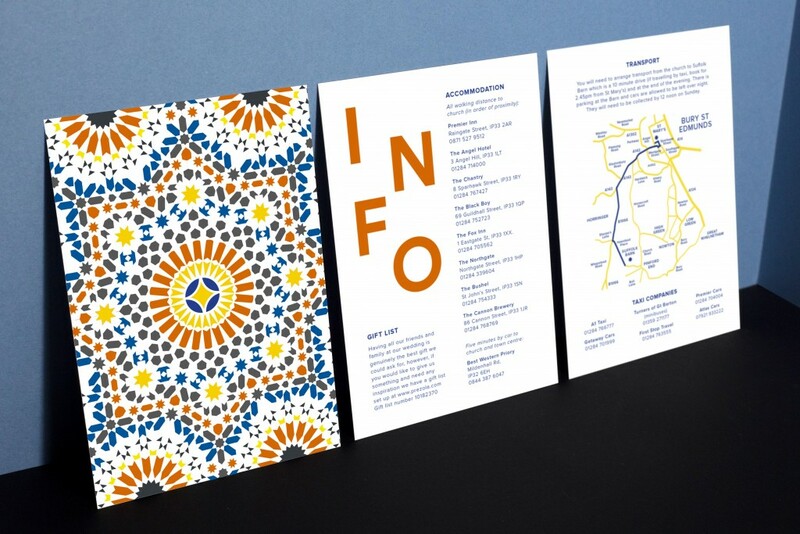 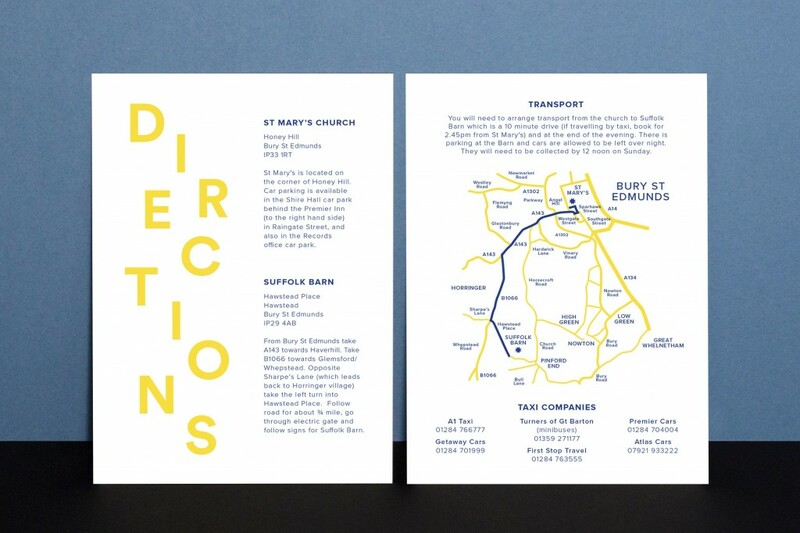 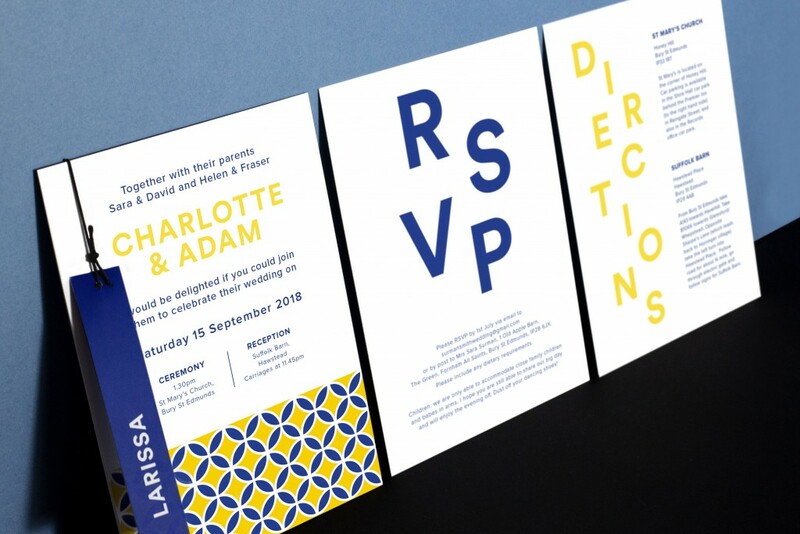 At first there were a few very different routes to go down based on what they liked but it was soon narrowed down to be inspired by Moroccan tile patterns with a modern typographic twist! 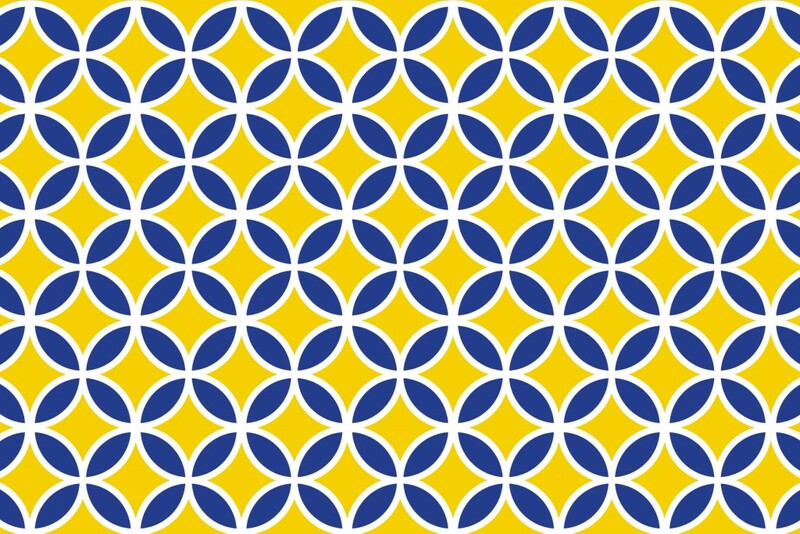 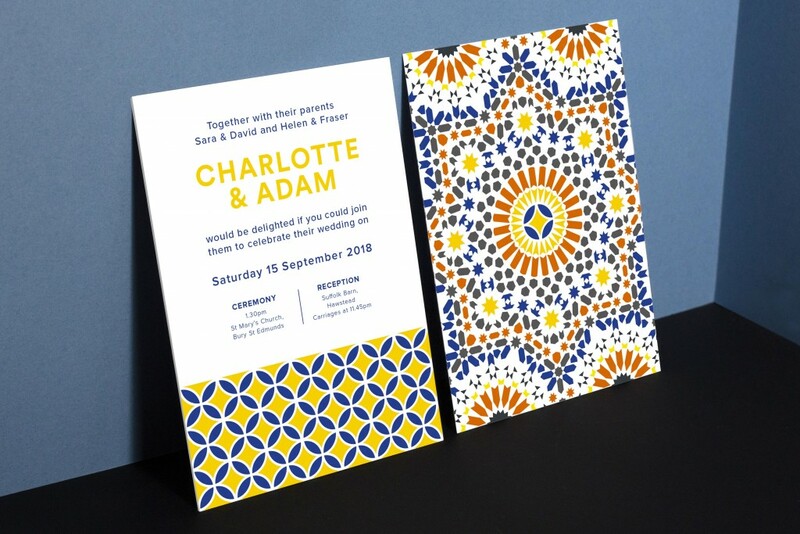 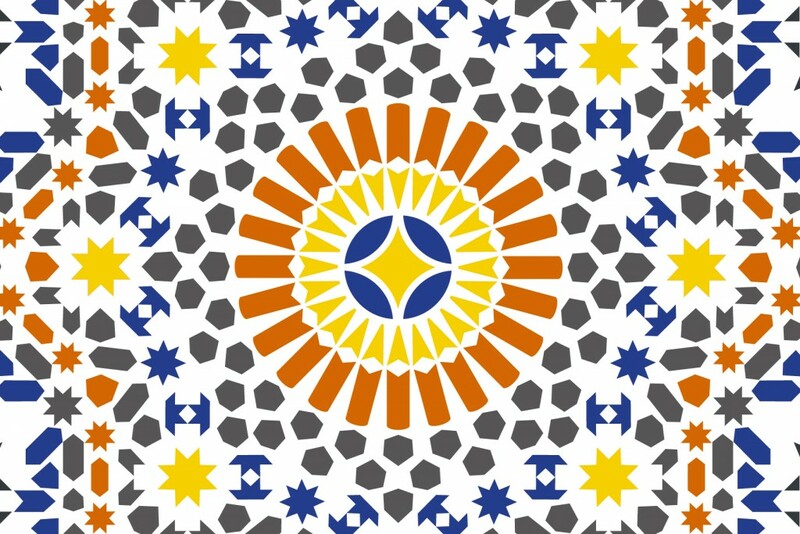 The colours are inspired by the blues, yellows and oranges found in the Majorelle Garden in Marrakesh linking the tile patterns with the rest of the design. 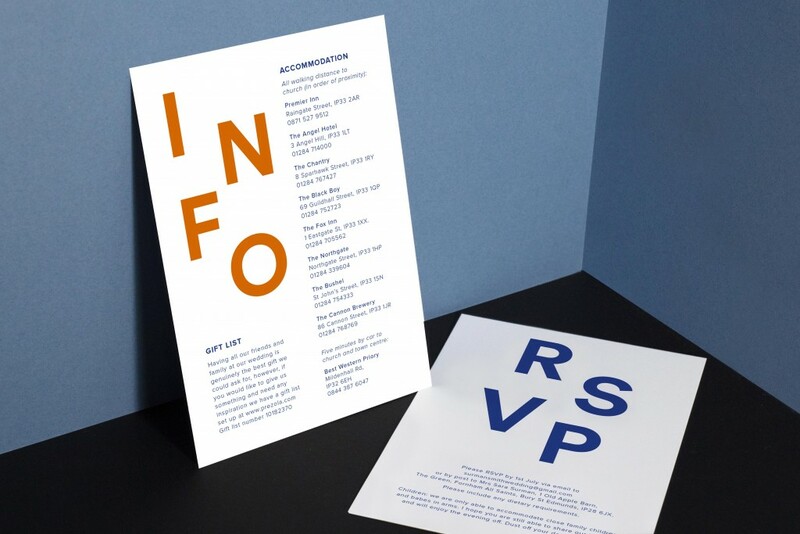 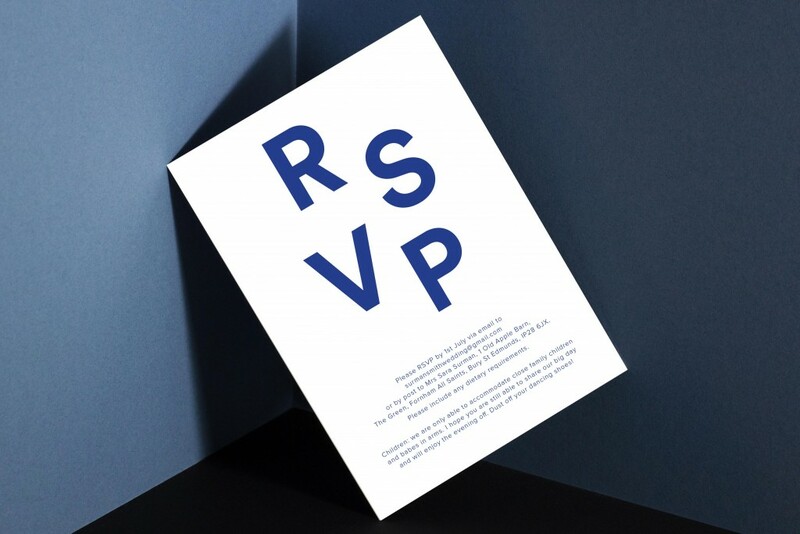 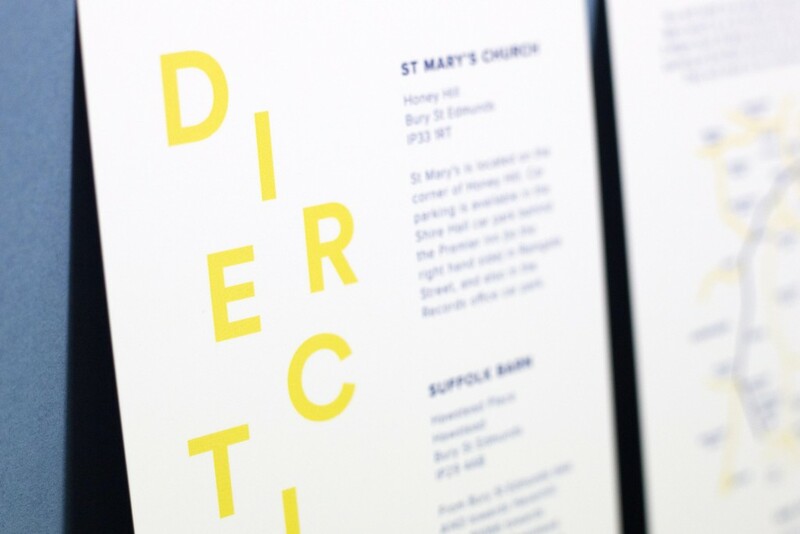 To keep things modern (Adam’s request) bold, abstract fonts were used.